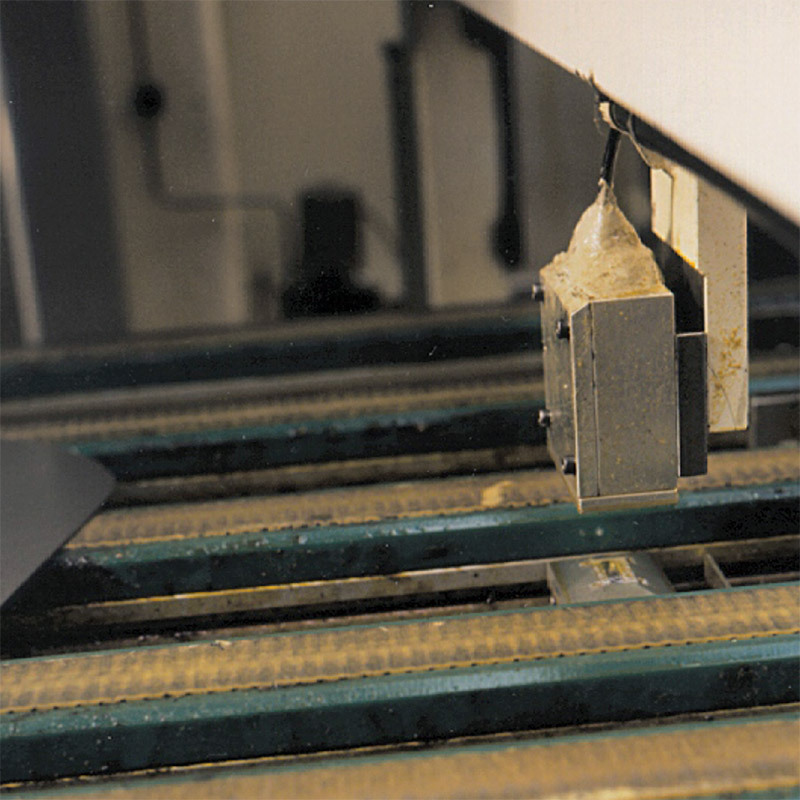 To prevent damage, laser-based optical displacement sensors are employed in front of the inlet for profiled sheets in presses to enable the detection of double sheets. The sensors are mounted opposite one another, above and below the passing sheets. Irrespective of the actual position of the sheets, the material thickness is obtained by simple coupling of the distance signals from both sensors. For adjustment a master sheet for each type of sheet is inserted into the measuring gap and the resulting signal set to zero. The zero value is monitored within a tolerance. The sensors are operated in special protective housings because of the harsh ambient.